Having trouble in getting fast and precise information from your construction projects? You are not sure if you are losing money or how big your profit is? Reports are not created and delivered regularly? There is a way to get fast and accurate field data from your construction projects with ease and without working in complicated and outdated software on your computer. 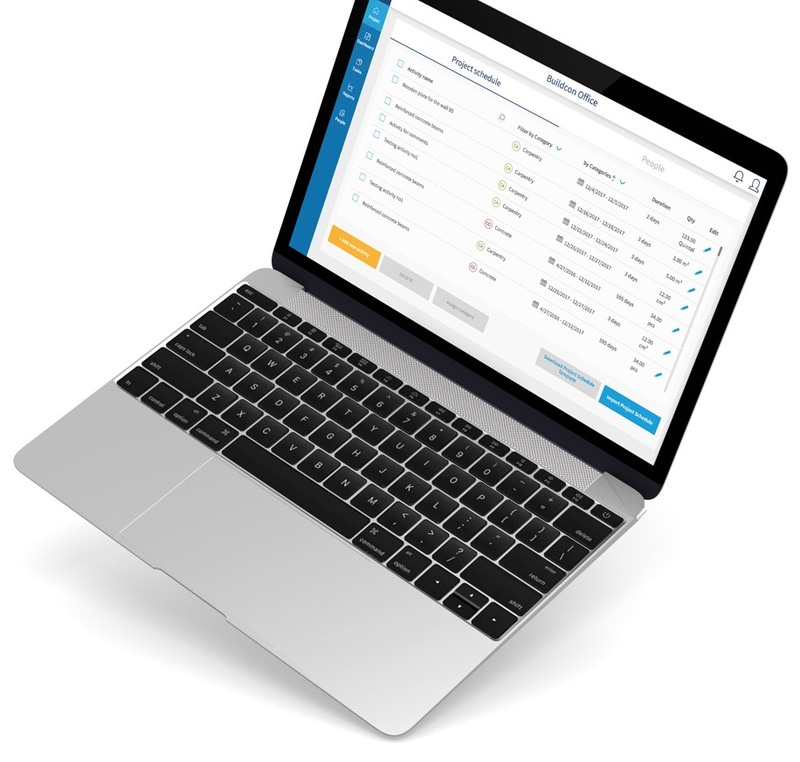 You will have relevant reports at the right time on any device, no matter where you are. Buildcon software helps you to connect office with construction site in real time. 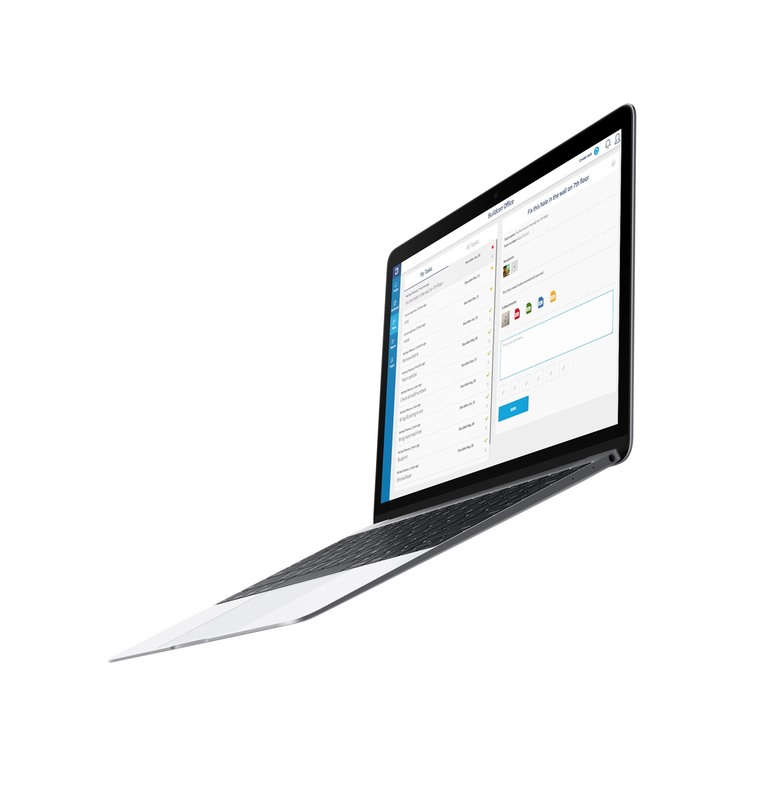 Buildcon is based on cloud technology which means that it’s available on any device without complicated installation or training. With use of web and mobile app you are connecting office and construction site. That way all needed data is available for the fast and easy exchange between project participants. Data is safely stored in one place and accessible for all project stakeholders. With defined unit price for every activity you can control project costs with ease. If there is a change in price or quantities, Buildcon will precisely show you difference between planned and actual values. With this daily analysis you can prevent potential losses and significantly increase your profits. Cluttered email inboxes with files all over the place could cause serious mistakes, besides being very frustrating. Using Buildcon, all files are tied to a certain activity or task so you don’t have to waste time on searching through tons of emails. With Buildcon you can share files like DWG, PDF, Word, Excel or simply photos which helps all stakeholders on project to get the right information. All photos taken with Buildcon mobile app are saved automatically in cloud and accessible from any authorized device. Every photo can be tied to a certain activity or task that needs to be executed. By communicating this way you are reducing misunderstandings and boost productivity by providing fast information. At the end of the day, week or month you can create quick report out of the data collected on field during execution. 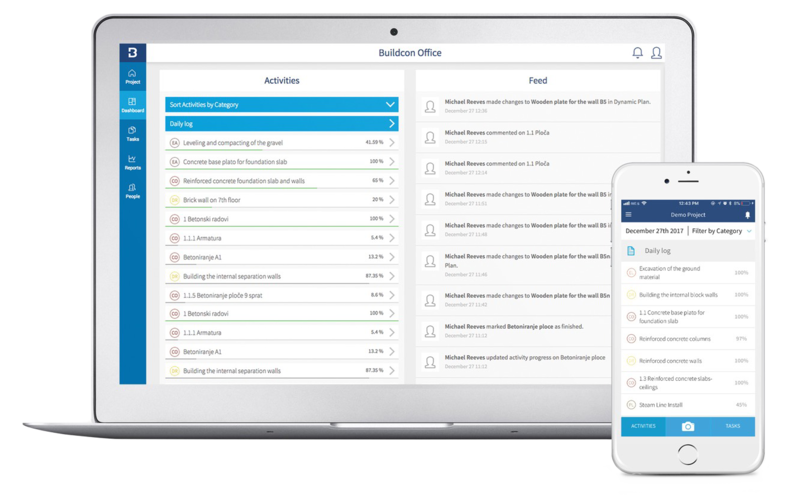 Using tasks feature in Buildcon helps you track requests for change or requests for information. With this feature you are tracking what needs to be done, who is responsible for delivering it, and when is the due date. If needed, every task can have attachments like drawings in DWG or PDF, documents regarding materials or photos, as well as Excel or Word files. Person responsible for execution of a task can mark it as finished which triggers instant notification to the task owner so control can be performed immediately. DON’T LET THAT CRITICAL INFORMATION GETS OVERLOOKED OR LOST IN COMMUNICATION. For any in-app action performed, for example - assigning some task to people, user tagging or report creation, certain users will get additional notifications via email. This ensures that every stakeholder gets timely notification for any project activity in his scope of work. 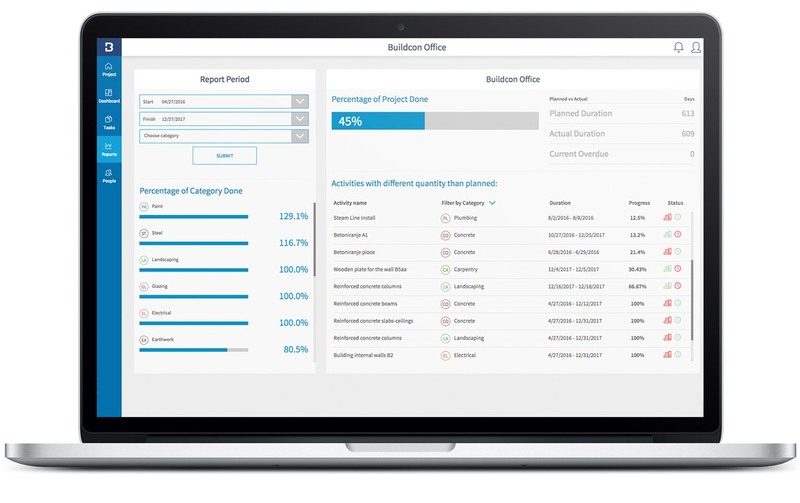 Easily track installed quantities of every group of work, activity and resource used. Buildcon is automatically comparing planned versus actual quantities and measuring percentage of work progress. This will ensure that you have better control over a project and make timely decisions. Executives and project managers often look at the project performance on the groups of work level, without going deep into details. 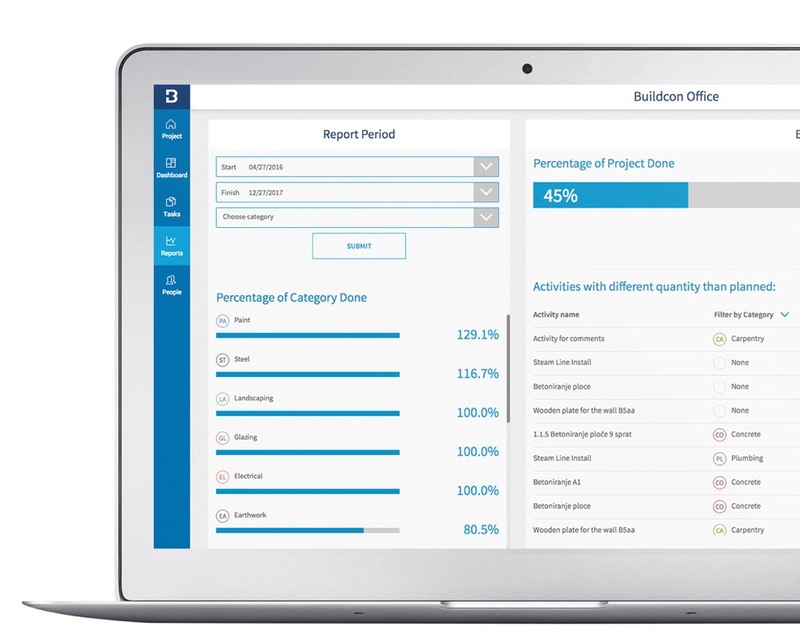 Using Buildcon you will have project and portfolio reporting on a high level for quick assessments. REAL TIME INFORMATION WILL PREVENT WORK STOPPAGES, MONEY HEMORRHAGES AND MOST IMPORTANTLY, DRASTICALLY BOOST PRODUCTIVITY. Using all collected data from the field during project execution you can create detailed daily, weekly or monthly reports in just a few clicks. You can create custom reports for selected time period. Reports can be detailed and show planned vs. actual costs, quantities, tasks, comments and photos for every activity. Reports can also be simple and contain only project progress, groups of work costs/progress or even only photos. Create any type of report you like. Fill in the simple form and start using Buildcon today. You can easily invite other colleagues on the same account once you register. You will get all the necessary support from our side to set up your account.